Sometimes your emotions can get the best of you. At that moment, you might say or do something that you never intended. A threat to hurt another person can sometimes be charged as an assault. The misdemeanor crime of simple assault deals with the intentional and unlawful threat of violence committed against another person. The offense can be charged as a felony if a weapon was used during the assault. Facing allegations for any violent crime can be intimidating, even if it is charged as a misdemeanor. It is important to understand what you are facing and how you can defend your rights. Contact the Tallahassee criminal lawyers at Pumphrey Law to find out more about potential defenses and what you need to do now to protect yourself against this serious crime of violence. Our offices are located in Tallahassee in Leon County. We represent clients in Tallahassee in the surrounding communities including Crawfordville in Wakulla County, Bristol in Liberty County, Quincy in Gadsden County and Monticello in Jefferson County. Call (850) 681-7777 to schedule a free consultation. A misdemeanor assault is the intentional act or threat, of violence on someone else, according to Florida Statute § 784.011. The person engaging in the assault has to appear able to commit the assault in the near future, and it has to cause fear of danger in the victim of the assault. In Florida, an assault offense does not have to include actual physical touching of another person. However, if a person uses a weapon, including a firearm, and does cause injury, it could be considered aggravated assault. Simple assault charges could be increased in some situations. A person who knowingly assaults someone of a certain profession or age group can receive increased assault charges. For example, if a person assaults a member of law enforcement, the penalties can be increased. Florida Statute for assault on a law enforcement officer was adopted in 1981. It provides for certain felony punishments and penalties. The statute covers certain alleged victims of assault including local, state or federal law enforcement officers, probation officers, correctional officer, emergency medical care providers, firefighters and several other classifications. The prosecutor must be able to prove the defendant knew the alleged victim was an officer, security guard, firefighter, emergency care provider or other covered person and the victim was engaged in the lawful performance of his or her duties. The felony offense of committing an assault on a person who is over the age of 65 years old also is punishable as a felony. The elements of the offense are the same as misdemeanor assault except that it must also be proven that the alleged victim was over the age of 65 years old. A conviction for a misdemeanor assault offense can result in a misdemeanor of the second degree. In Florida, this is punishable by up to 60 days in jail, a fine up to $500 or both. A conviction for a misdemeanor of the first-degree assault generally is punishable by up to one year in jail, a fine up to $1,000 or both. First time first-degree and second-degree misdemeanor offenders often are eligible for placement on probation or community supervision. However, a violation of probation could lead to more penalties. 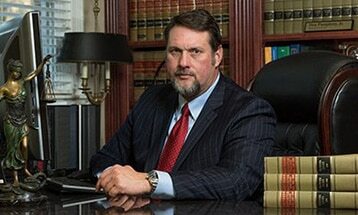 A misdemeanor defense attorney can help you figure out the best option in your case. Read more about the legislative language surrounding this offense on the Florida Legislature’s official website. Read more about general provisions for the crime of assault throughout the United States, including statistic and stories. This article also includes information on general defenses to assaults including consent, prevention of a crime, self-defense and defense of property. Just because you have been charged with a criminal offense does not mean you will be convicted. An experienced violent crime defense lawyer can use the evidence surrounding your case and investigation failures to fight for a favorable outcome. Call (850) 681-7777 to schedule a free case evaluation. Our attorneys are experienced in fighting a variety of violence crimes including battery, robbery, and sexually motivated offenses in Florida. Let us put our experience to work for you. This article was last updated on Thursday, September 15, 2016.